I’m most creative when I’m organized and when it comes to content writing creativity and organization are an absolute must. This means a trusty to-do list is written at the beginning of every week and deadlines are notated. But by mid-week the posts are only ¾ written and since the work is in progress the to-do list hasn’t changed. Getting discouraged is not an option but it was time for a new tactic and Agile Development was exactly the change I needed. I know a bit about how Agile works, the stand up scrum meetings, sprint plannings, and iterative development, and I joke how my stand up scrums involve my talking to myself in my favorite chair. But I needed to learn more. I looked up the agile manifesto and I agreed with the principles I was reading. My agile method is based on the last value, “responding to change over following a plan”. When writing it’s very easy to get stuck in the trap of “I chose this topic and I need to deliver it even though it’s totally not coming together.” I’ve been there. I’ve sat at my desk becoming more and more frustrated as my article sounded worse and worse. I took breaks and slept on it and it was still not working. I was following a plan when I should have been responding to change. Taking a step back to reevaluate the angle can suddenly clear your mind. So can scrapping the topic for the time being and coming back to it in a week or two. Sticking to the plan doesn’t work. It results in terrible work and dissatisfaction all around. These three notes each have a goal to combine for one ultimate task. Previously I would add to a to-do list “write agile to-do post” and then feel guilty as I sat there tapping my pen not knowing where to start. I would write, stop, research, write, stop, edit, research, you get the point. It would jumble in my brain and take so much time. My deadline would approach and I would be in that place where I start to mildly panic. One day my husband, who works in an Agile Development environment creating software, brought home the post-its and I got started. What I love about this is that when I choose a post-it and put it in the “In Progress” section, I can focus solely on that task. 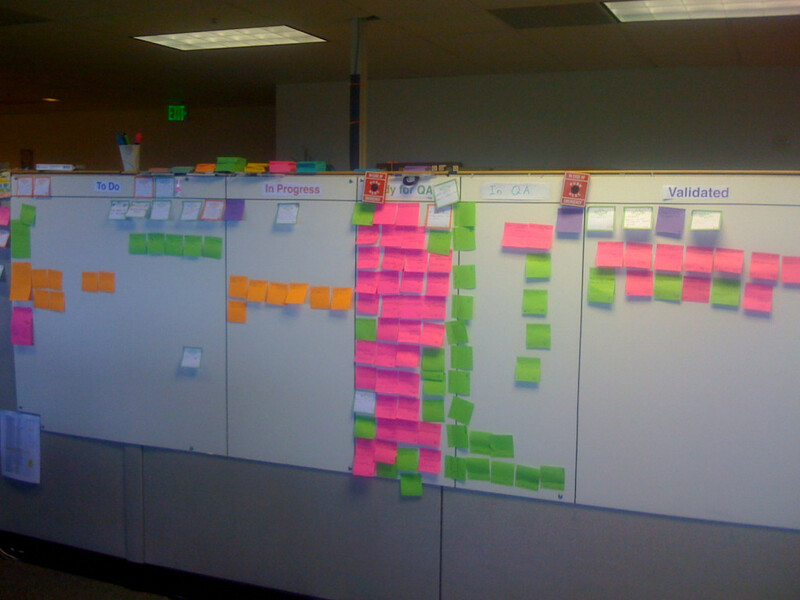 Because the task is small it goes quickly and before I know it my “Done” column has a post-it! By the time I’ve finished writing and editing I have 3 post-its done and I feel accomplished. Every time I get stuck because a job is too large I take a moment to break it down further. 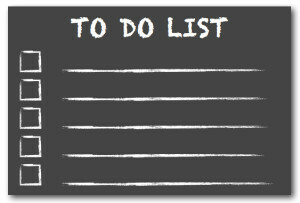 Agile to-do lists are not just limited to software and content writing. They work everywhere. Try this out when planning your next marketing campaign. There are so many details to work out; the campaign goal, where it will run, how long will it run for, etc. Breaking down the campaign into sections and the sections into tasks will create an organized system. Furthermore with everything broken down concisely and neatly it is easier to assign tasks. If one goal is separated into five tasks, five people can each take a part. Or one person can take three parts and another can take two. No matter how you divide it the work will get done. With the convenient “in progress” and “done” sections it is very clear what has been finished, what still needs work, and what has not yet been started. The beauty of an agile to-do list is how manageable it is. You always know where you stand with the work at hand. If a project has become too big for the divided sections then more can be added. 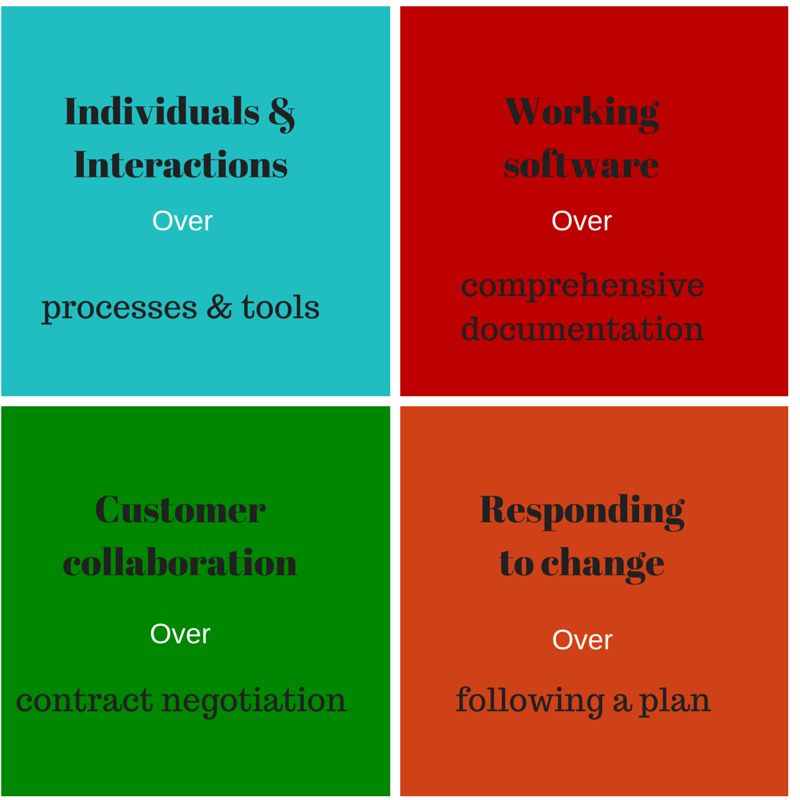 An agile to do list is not stagnant, there is constant movement, constant change. Implement this methodology and you will increase your productivity. You will be agile.